The Urban Bucket Bag features a large pouch style pocket on the front, a leather base and side accents. The Urban is finished with eyelets and a drawstring closure. Loose in style and high on edgy fashion, The Urban Bucket Bag is an easy style of bag to carry for a day out at the markets, a trip to the beach or shopping with friends. 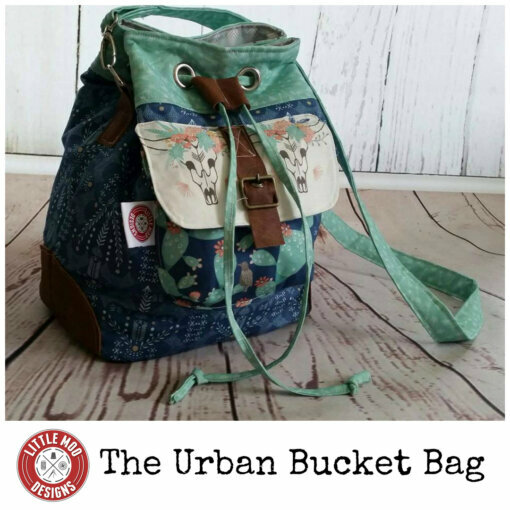 The Urban Bucket Bag brings together my favourite bag aspects. 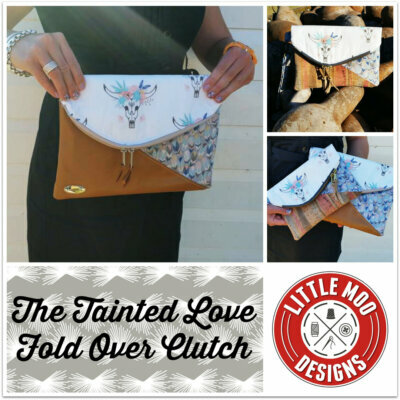 Casual style mixed with the amazing textures of various fabrics and edgy handbag hardware. The Urban Bucket Bag features a large pouch style pocket on the front, a leather base and side accents. The Urban is finished with eyelets and a drawstring closure. Loose in style and high on edgy fashion, The Urban Bucket Bag is an easy style of bag to carry for a day out at the markets, a trip to the beach or shopping with friends. 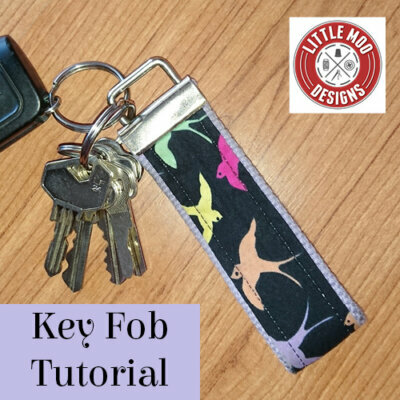 With a focus on adding a leather base and side accent pieces, this is the perfect introduction to sewing with leather (genuine or faux). The Urban Bucket Bag can be made using various fabrics including; quilters weight cottons, denim, corduroy, genuine or faux leather. The base and side accents pieces are designed for leather (genuine or faux). 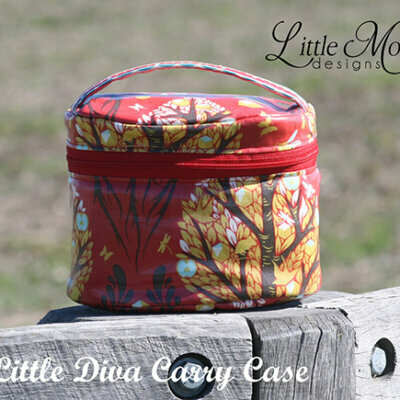 PLEASE NOTE: The pattern includes only a shoulder strap option. You will find the backpack pattern hack on my blog very soon. Leather thonging, large and small eyelets and setting tools. You are purchasing an auto download PDF sewing pattern only, not the finished bag. This pattern includes colour images, in depth instructions and digitally drawn pattern pieces all ready for you to print on your home printer (A4 paper), measurements are provided in both metric and imperial.